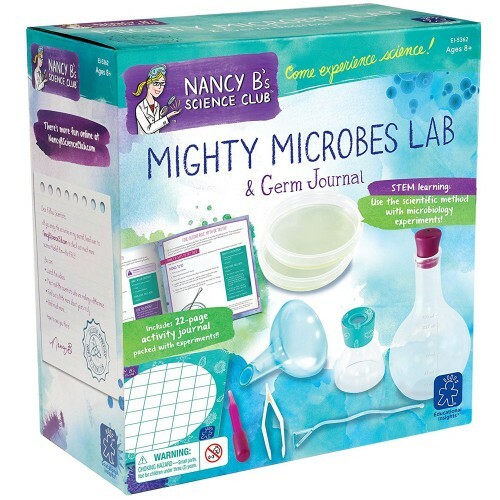 This 14 pcs microbe lab from Nancy B's Science Club lets children grow, observe, explore and learn harmless bacteria, fungi, viruses, microbe colonies and more! 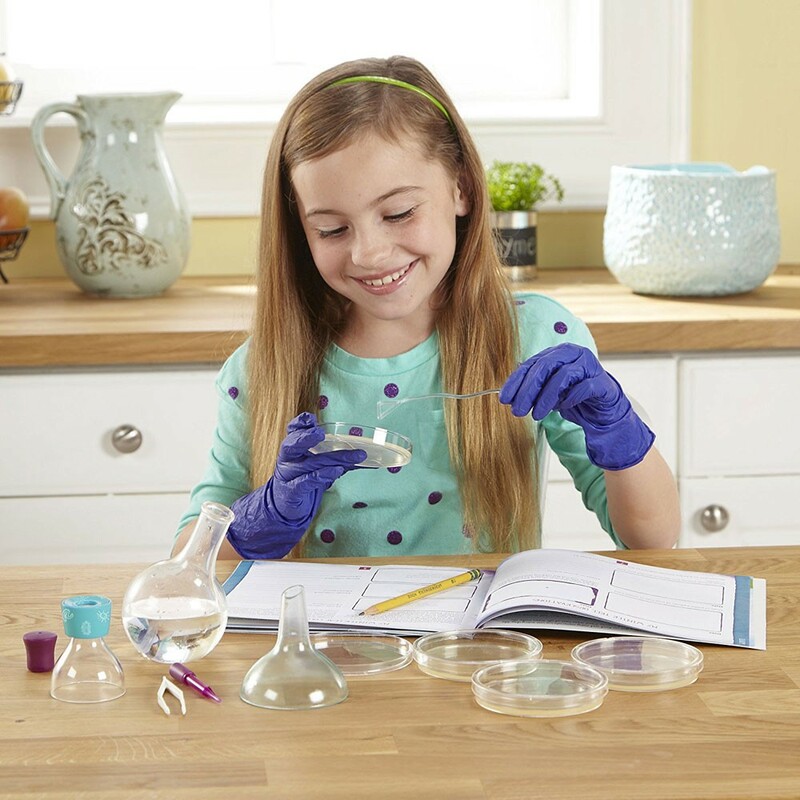 Does 5-second rule exist in bio science? 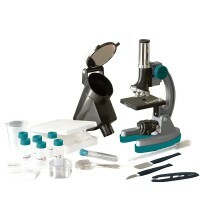 What type of bacteria is on your toothbrush? 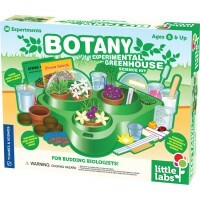 Can you grow your own bacteria? 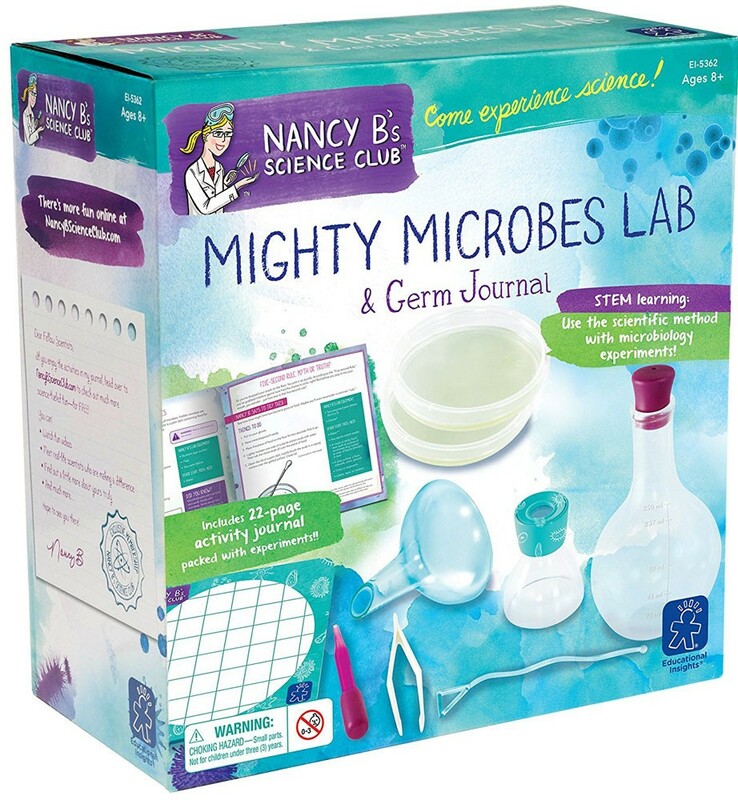 Mighty Microbes Lab & Germ Journal Science Kit will help you to find the answers to these questions and make hands-on discoveries in biology in the comfort of your kitchen or room! 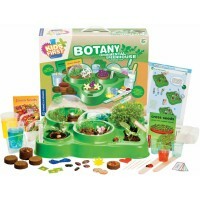 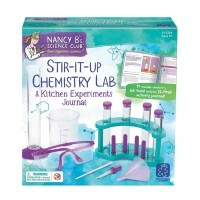 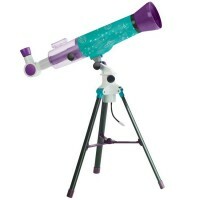 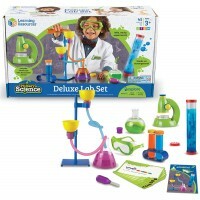 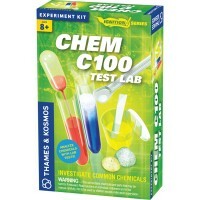 This new science kit is designed by Educational Insights' Nancy B's Science Club line of terrific science kits for girls. 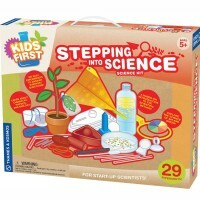 Not only girls, but boys as well, will enjoy exploring microworld with all the materials, supplies and instructions from this fun science kit. 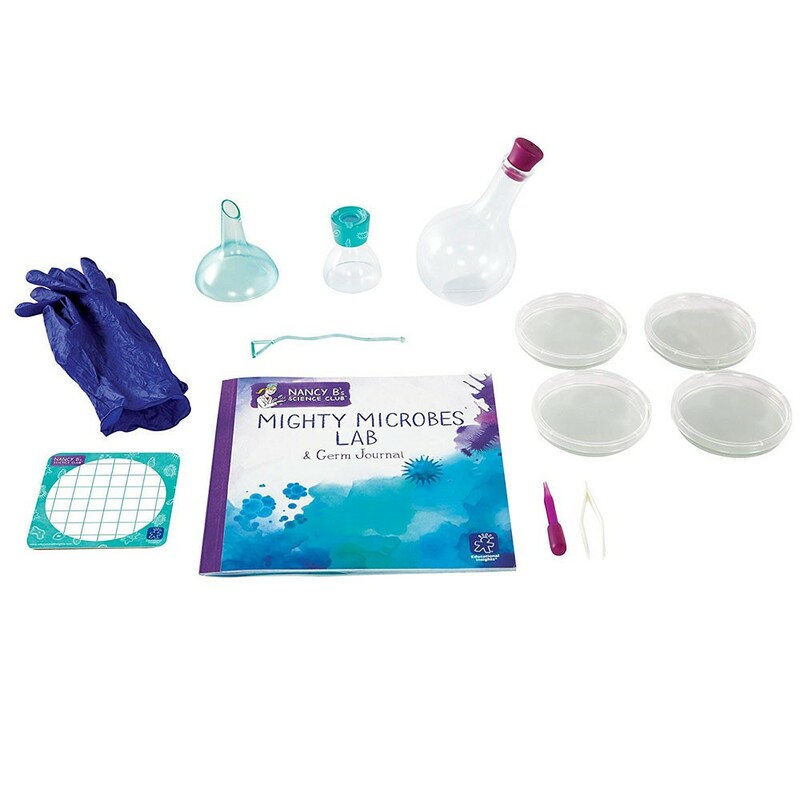 Mighty Microbes Lab & Germ Journal Science Kit comes complete with 4 Petri dishes, 250ml standing round-bottomed flask with volume markings, stopper with hole to fit the top of the flask, special bacteria spreader, waterproof colony counter grid, 8x magnification glass, tweezers, funnel, pipette, gloves, and nutrient agar pack. 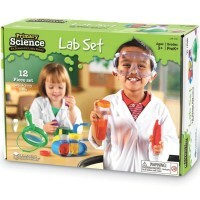 This 14-piece microbe science lab includes a 22-page illustrated activity guide plus recipe to make more agar. 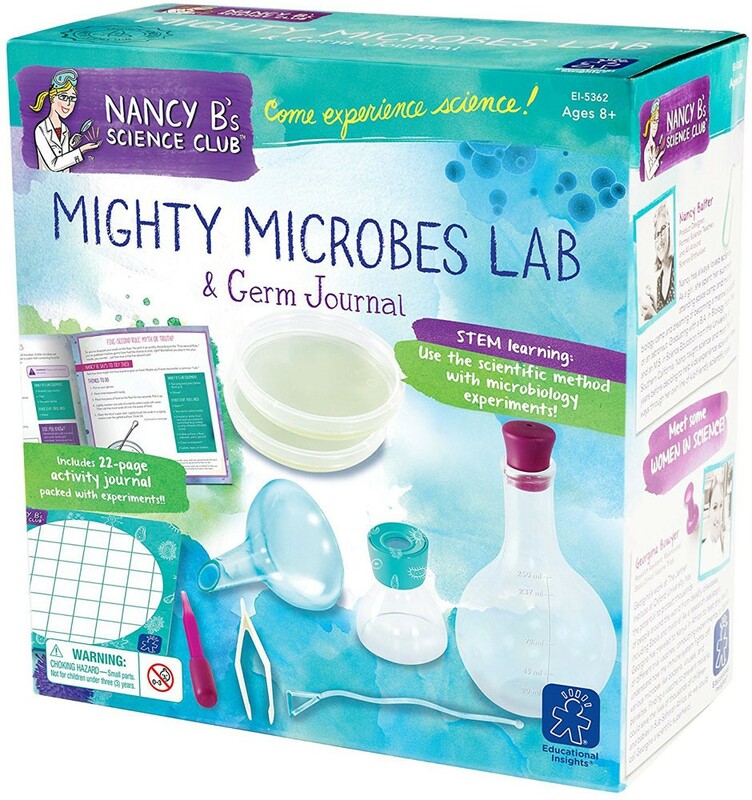 Grow, observe and discover harmless microbes and make first steps in learning microbiology. 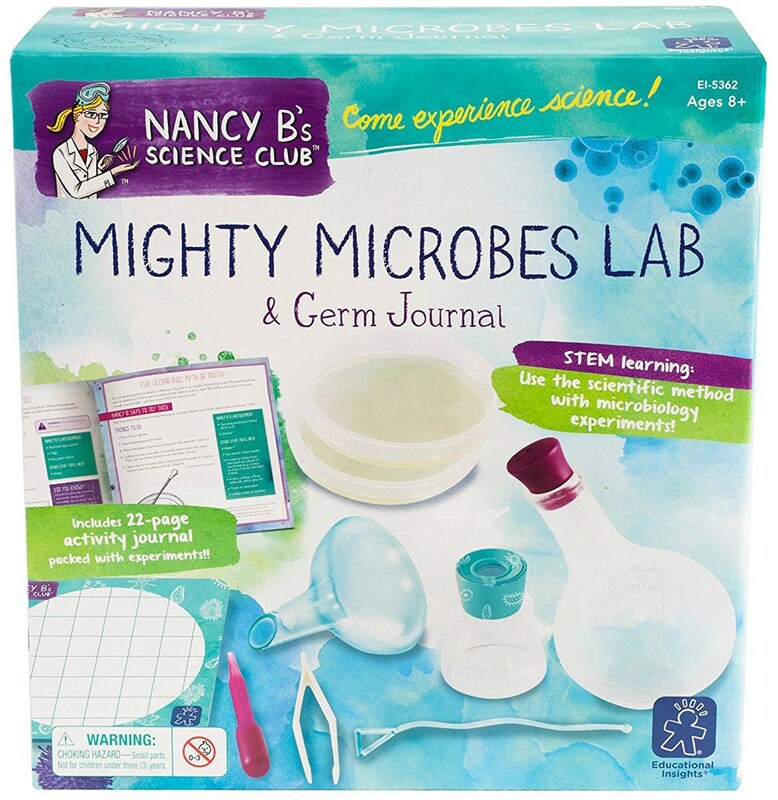 Dimensions of package 8.8" x 9.1" x 4.4"
Write your own review of Mighty Microbes Lab & Germ Journal Science Kit. 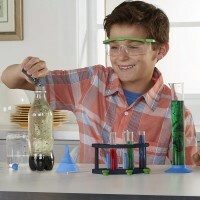 Rating: 5 by Sandra, VA It was a gift, and I have not heard from my grandson except for 'Thank you, Gramma', but I think I'd like it myself.